Alsa MedSpa specializes in medical grade and noninvasive cosmetic laser and skin care procedures. We offer affordable options that take years off your face without plastic surgery such as Botox, Juverderm, CO2 fractional laser, microdermabrasion and chemical peels to name a few. Our services are provided by experienced aesthetic personnel, which include physicians, registered nurses, aestheticians and massage therapists. 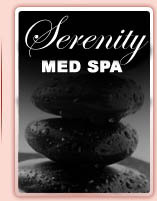 We also provide aesthetic services at other med spas including Serenity Medspa and the Atlanta Athletic Club.